The popup’s last day was June 30th, 2018, but Jeremiah Borrego has future plans that we’ll keep you posted on. 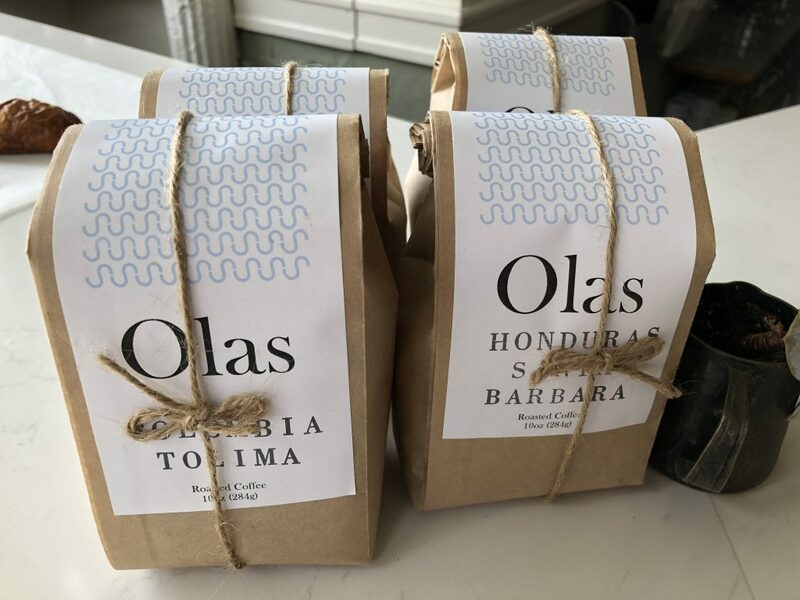 You can find Olas Coffee in the wild at Boerum Hill restaurant Rucola. Otway will be starting full-time breakfast service in the near future. Add Otway, at least temporarily, to the catalog of Clinton Hill spots where one can grab an excellent espresso or coffee drink. 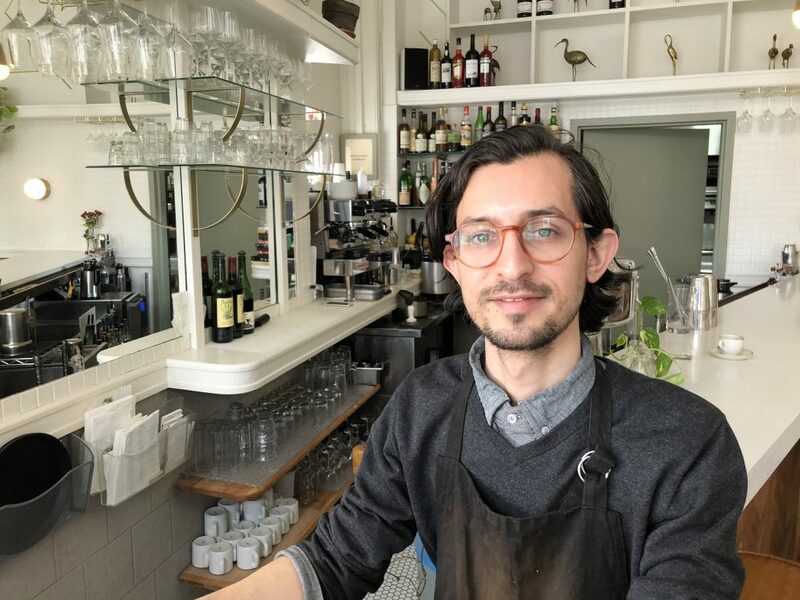 On weekday mornings (except for Tuesdays, when the restaurant is closed), coffee professional Jeremiah Borrego can be found behind Otway’s bar showcasing coffee he roasts himself at Regalia Coffee in Long Island City under the name Olas (Spanish for “waves”). As a neighborhood denizen and Otway fan, Mr. Borrego approached the restaurant with the idea of using their dormant daytime space to fine-tune his coffee endeavor. Finding them a welcome recipient to the idea, Olas Coffee debuted as a pop-up in late February, 2018. With over 10 years in the coffee industry, Mr. Borrego has worked at cafes and restaurants in New York City since 2010, starting out as a barista at the now-defunct Cafe Pedlar. In July 2013 he was tapped to help open Nick Morgenstern’s El Rey Cafe as coffee consultant and opening manager. Barista stints at restaurants including Rucola and Reynard followed, and he eventually ended up at seminal East Village cafe Abraço as barista/assistant roaster and still pulls shifts there several days a week. There is no set end-date for the Otway pop-up, but he has been raising funds and scouring the neighborhood and nearby environs for the future home of his own cafe, so it will presumably wind down when that opens. While Mr. Borrego’s current goals for his roasting operation are to produce enough high quality coffee to supply his upcoming cafe and retail coffee bean operation, behind his relaxed demeanor he is furiously planning coffee-related endeavors far into the future. 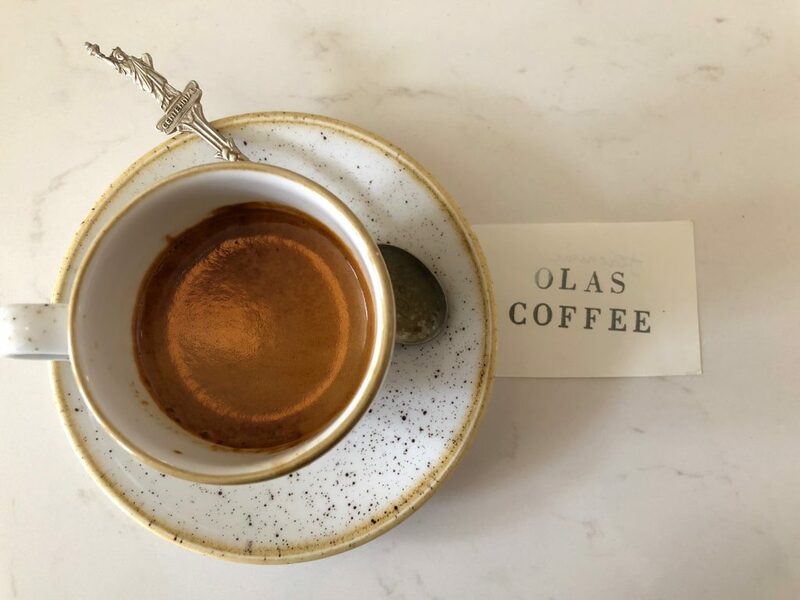 Stop by Otway weekdays (except Tuesday) from 8am-noon for a shot of espresso, with good body and thick crema, recently a single origin Colombia Huila. Mr. Borrego’s roasting philosophy has evolved over time to accentuate what he calls “the linger,” the flavor you take with you after finishing his espresso; the Huila doesn’t disappoint in this regard, its chocolate/cherry flavor finishes with a surprising grapefruit burst that, dare I say, lingers. The espresso goes well in milk drinks, and there’s a delicious, clean-tasting drip coffee available, along with a selection of teas. While the pop-up’s focus is on coffee, there is a small selection of baked goods produced in-house and displayed near the entrance on the white marble bar; chocolate or white chocolate chip cookies are a mainstay, sometimes joined by raisin or currant scones and poundcake with rotating seasonal fruit. And if you’re fortunate, Mr Borrego will let you taste one of his science experiments – sometimes a green coffee extract drink, sometimes a vinegar-based shrub. Visit Olas @ Otway Mon, Wed-Friday 8am-12pm, cash only. Coffee beans are available for purchase.